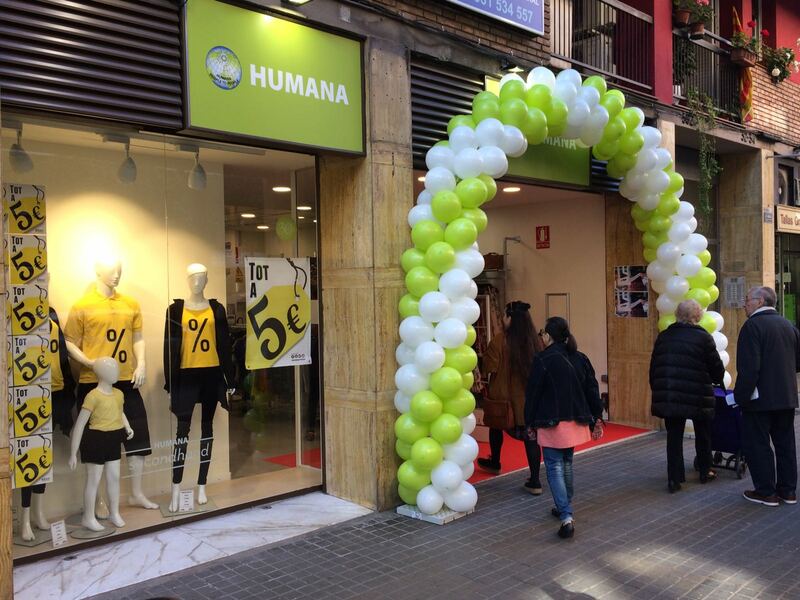 Humana powers its network of sustainable fashion stores with the opening today, April 21, of a new point of sale in Barcelona, ? ?Calle Mallorca, 592, in the El Clot neighborhood. It has a sales area of ? ?165 square meters and includes sections for women, men, children, sports, selection and accessories. Through its network of stores, the Foundation promotes sustainable fashion and reuse of textiles, giving a second life to used clothing. There is no more sustainable garment than the one already manufactured. The opening is on the doorstep of Fashion Revolution Day, which this year becomes Fashion Revolution Week. The fashion world is tainted with vindication every April 24 to remember the collapse in 2013 of the Rana Plaza building in Bangladesh, with a tragic balance of more than 1,100 victims; The building housed several factories that produced garments for some thirty international brands. It is a tribute to the victims, a call to reflection on how we produce the clothes we wear and a claim that it is possible another way to consume fashion. Humana stores are an excellent expression of sustainable fashion and so share the philosophy and principles of Fashion Revolution Day. Humana joins the activities on the occasion of Fashion Revolution Week by Upcycling Barcelona and the Pineda Foundation for the Promotion and Development of Education and Culture, through its Fashion Frame project. 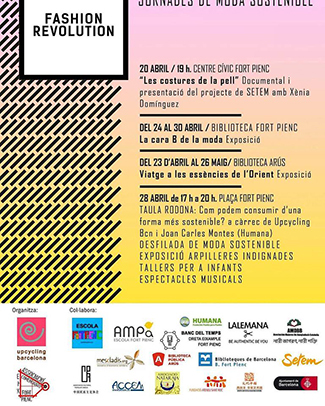 Upcycling BCN promotes several activities on the occasion of the FRD from 20 to 28 April. On 28 April, Humana is actively participating in the event promoted by Upcycling Barcelona, ? ?in Plaza Fort Pienc, from 5 pm to 8 pm: on the one hand, giving away clothes for the planned fashionable footbridge. And on the other, participating as speakers in the round table 'How can we consume in a more sustainable way?' During the table, the Foundation will tackle the purchase of secondhand garments as a vehicle to promote a more sustainable and conscious consumption. On Saturday 29 the Foundation participates in the days' Fashion, tradition and innovation. Educate for an alternative consumption ', organized by the Pineda Foundation, in the Palau Macaya of Barcelona. Humana participates as a speaker at one of the round tables set during the conference.